Is there a way to open graphs in a new window in VSCode? I'm graphing some stuff with matplotlib and I need to be able to zoom in on the graph. But VSCode just renders it in its Python Interactive window that I can't do anything with. Is there a way to open graphs in a their own window that allows for scaling and things? I can't tell you exactly what command to use as it might vary based on what you have installed in your environment. But %matplotlib auto or %matplotlib qt would be good places to try starting with. Not the answer you're looking for? 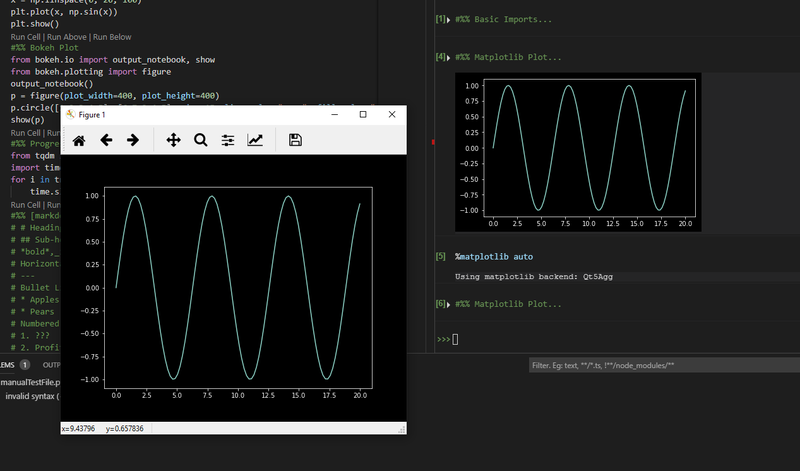 Browse other questions tagged python matplotlib plot graph visual-studio-code or ask your own question. How to open Visual Studio Code from the command line on OSX?